We are really excited to launch this camp with Tom and Rach from RNE. The Atlas Mountains has always been a place we have wanted to run. Steeped in history and culture, Morocco offers a whole new experience. We head to the small village of Imlil in the high Atlas Mountains, sitting at 1,800m (5,900ft) above sea level. Imlil is the gateway to the highest peak in North Africa, Jebel Toubkal at 4,167m. The mountainous terrain offers a different experience to the more popular alpine destinations. Wind your way through ancient berber settlements, whilst soaking up the insane views to Mt Toubkal, this will be an experience you will not forget. Maverick Race have once again teamed up with GB Ultra Runner Tom Bonn Payn and his wife and exercise physiologist Rachel Bonn Payn - both exceptional runners and veterans of UTMB and other mountain races. 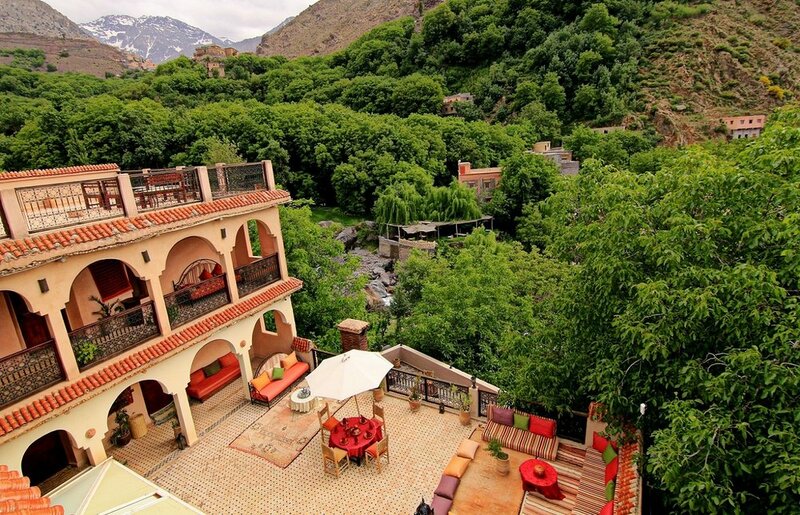 They also organise their own retreats, so have vast experience running in the Atlas Mountains. Please check out the RunNamasteEat website to get more info on them. Running is in their blood and with extensive knowledge of all the camp locations, they are the best guides to lead you on this amazing adventure. Pre camp Tom and Rachel will be taking you on a journey; from a bespoke training plan before you arrive in Morocco to coaching you throughout the weekend. Once you come off the mountain they will offer you training tips and yoga sessions to help you develop, recover and relax ready for another adventure. Camp Endeavour Morocco has been designed to challenge you therefore we do require you to have a competent level of fitness - this is for your enjoyment and the safety of others in the group. Once you have signed up we will be in touch with you to find out all of your personal requirements and your current running ability. This will help Tom and Rach develop your personalised training plan in the lead up to your trip to Morocco. Secure your place now for only a £275 deposit, with the £275 balance due 8 weeks prior to travelling. If you decide to withdraw all payments are non-refundable or transferable. You will need to book a flight. Please see below for more info. Below are the flights we recommend you book for your trip to Morocco. All flights are approx £200pp return. Transfers to and from Marrakech Airport are all taken care of but we need you to be at Marrakech Airport by 10:30/11:00 on the Friday. 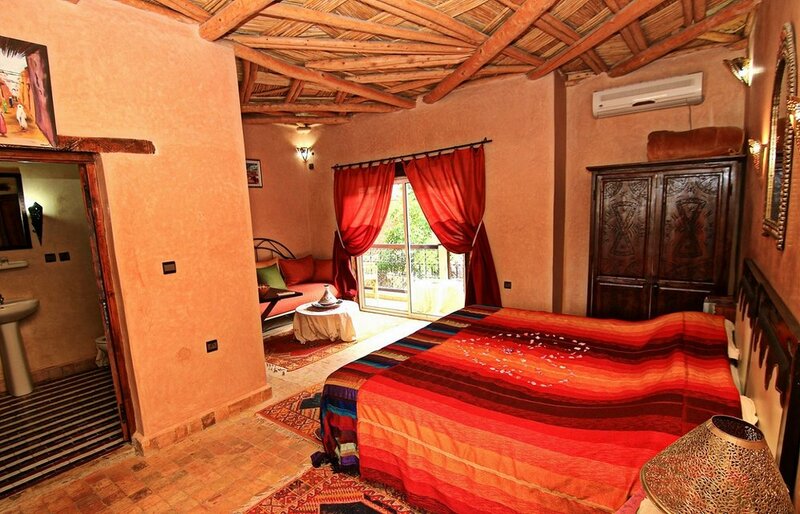 Riad Dar Imlil, just 60km from Marrakech, is situated in Imlil at the foot of Jbel Toubkal, the highest peak in North Africa. All rooms are shared on a twin or double basis. Breakfast - Fresh fruits, bread, pancakes and porridge. Lunch & Dinner - Moroccan tagines and couscous dishes. Although the meals will all be vegan (which is pretty normal out in Morocco) there will be milk available for coffees if people want it. Snacks - locally grown nuts & dried fruits, apricots, watermelons, dates. Fluids - Do not drink the tap water. There will be plenty of bottled water for you during your stay, there will also be as much mint tea as you can handle. If you want to bring a water filter bottle as an extra then please do. Please note the camp does not include flights. Tom & Rachel from RunNamasteEat will contact you directly to establish your level and what you want from the trip. You will receive a personalised training plan one month from departure. You’ll also take the Precision Hydrationonline Sweat Test for a bespoke hydration plan. 12:00 - Arrive at Imlil. Welcome, settle in and lunch. 15:00 - 90 minute easy run to acclimatise and shake the legs out. Free afternoon, optional shopping in local craft shops etc. • Flights / travel to the camp. • Cash in the local currency. • Running shoes in good condition (recommendation will be made). • Rain jacket, base layers, tights and running pack, with water bottles. • Any specific dietary requirements. • A 2nd pair of shoes. • Warm Clothing for the evenings. • If you suffer with a sensitive stomach bring some precautionary medicines like Imodium. • Wet wipes - these are always good to have!